For over four decades Rabbi Capers Funnye has worked to promote a vibrant and equitable Jewish community locally, nationally, and globally. He has dedicated his life to building bridges within and beyond the Jewish community. Through this work, he lives out the prophetic calling to pursue justice. At Chicago’s Beth Shalom B’nai Zaken Ethiopian Hebrew Congregation, Rabbi Funnye has served for the past 38 years as the rabbi and spiritual leader. He is the first African American rabbi to participate in The Chicago Board of Rabbis. 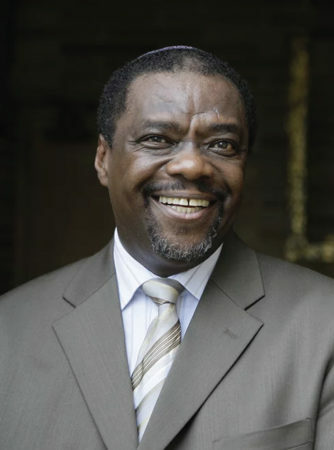 With an eye towards advocating for the growth and diversity of the Jewish people, Rabbi Funnye has been active in both Be’Chol Lashon and Kulanu, two organizations that promote awareness of multiracial, multicultural Jewish communities across the world. In 2015, Rabbi Funnye was installed as the Chief Rabbi of the International Israelite Board of Rabbis which serves Jewish communities in the United States, the Caribbean, South Africa, Nigeria, Cameroon, Ghana, and Uganda. Rabbi Funnye’s relationship with JCUA dates back to the 1990’s when as a staff member he led JCUA’s policy committee in taking stances against regressive taxes, the demise of public housing, predatory lending, and neighborhood disinvestment. He joined the JCUA board in 1995, and served as board president from 2016-2018. He calls his involvement with JCUA a “highlight of his life” and has great respect for JCUA’s early champions who took unpopular positions to combat discrimination and prejudice. In all aspects of his life, Rabbi Funnye continues to further JCUA’s mission to fight against poverty, racism, and antisemitism in Chicago and beyond. Rabbi Funnye and his wife, Mary, a retired Chicago Public Schools teacher, are the proud parents of four children and twelve grandchildren.